When some people think of a basic rock band that has two guitars, bass and drums, many times the first impression is that the track elements are pretty simple since there are only 4 instruments. Live that may be true, but that's not the way records are made. A really good example of how sophisticated a simple rhythm guitar part can become is Aerosmith's "Same Old Song And Dance" from their Get Your Wings album. It highlights the really excellent production skills of Jack Douglas. 1. The simplicity of the parts. 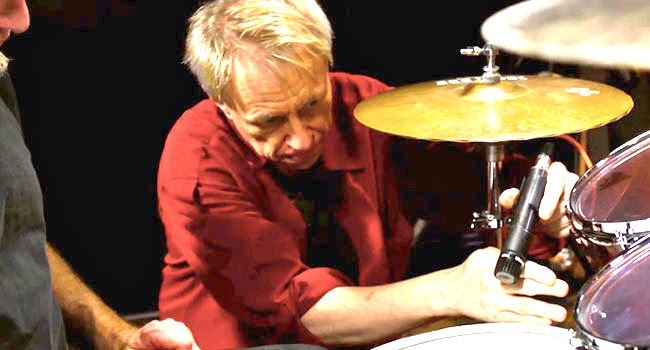 Everything is played as solidly and simply as possible, with no embellishments or ghost notes. 2. The change in guitar sounds. The sound changes considerably from the intro to the verse to the chorus to the bridge. This gives the song more interest. 3. The change in panning. As the sound changes, so does the panning, again heightening the interest. 4. The doubling of parts of the solo and last chorus to bring the song to its peak. Have you ever wondered how much of a difference there really is between the finished mix and the mastered version? How about between basics and finished overdubs? Or rehearsal to the final product? Here's a video from the DVD that comes with The Music Producer's Handbook that provides a comparison of a song at every stage of the process, from rehearsal to basics to overdubs to mix to master. The song is "Feedback and Distortion" from the second SNEW album We Do What We Want that I produced a few years ago (check out their Live From The Snewdio show. I'm on the first episode). You can read excerpts from The Music Producer's Handbook and my other books on the excerpts section of bobbyowsinski.com. Sometimes when recording, microphone placement can seem either too difficult or way too easy. As with most things in life, it's really somewhere in the middle, but sometimes it's not very easy to get there. Here's an excerpt from the newly released Recording Engineer's Handbook 3rd edition that shows 5 simple miking techniques that will help you get a bigger and more accurate sound. "Before you start swapping gear, know that the three most important factors in getting the sound you want are mic position, mic position and mic position. Get the instrument to make the sound you want to record first, then use the cover-your-ears technique to find the sweet spot, position the mic, then listen. Remember that if you can’t hear it, you can’t record it. Don’t be afraid to repeat as much as necessary, or to experiment if you’re not getting the results you want. 1. One of the reasons for close-miking is to avoid leakage into other mics, which means that the engineer can have more flexibility later in balancing the ensemble in the mix. That said, give the mic as much distance from the source as possible in order to let the sound develop, and be captured, naturally. 2. Mics can’t effectively be placed by sight until you have experience with the player, the room you’re recording in, the mics you’re using, and the signal path. If at least one of these elements is unknown, at least some experimentation is in order until the best placement is found. It’s okay to start from a place that you know has worked in the past, but be prepared to experiment with the placement a bit since each instrument and situation is different. 3. If the reflections of the room are important to the final sound, start with any mics that are used to pick up the room first, then add the mics that act as support to the room mics. 4. From 200Hz to 600Hz is where the proximity effect often shows up and is one reason why many engineers continually cut EQ in this range. If many directional microphones are being used in a close fashion, they will all be subject to proximity effect. and you should expect a buildup of this frequency range in the mix as a result. 5. One way to capture a larger than life sound is by recording a sound that is softer than the recording will most likely be played back. For electric guitars for instance, sometimes a small 5 watt amp into an 8 inch speaker can sound larger than a cranked full Marshall stack." You can read additional excerpts from The Recording Engineer's Handbook 3rd edition and other books on the excerpts section of bobbyowsinski.com. You can also check out the Audio Recording Techniques video course on Lynda.com. Click here for a free 7 day trial. 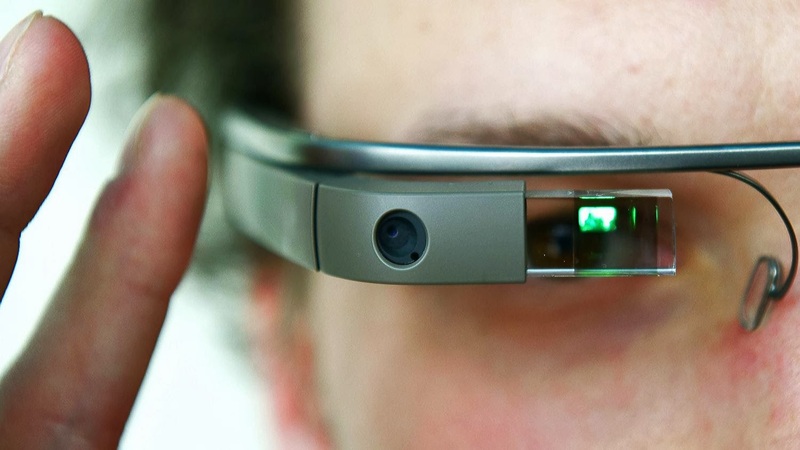 Can Google Glass Change The Music Business? Google Glass is coming and the naysayers are out in mass, predicting a big miss for the search company due to over-engineering, government regulation, or just plain creating a product that no one needs. I can’t say for sure how Google Glass will work in the real world, but I can imagine how it could work in the music world, and I think it’s all for the better for music consumers and producers alike. First of all, Google recently announced that a new version of Glass is now available to beta testers, and this one has the addition of a mono ear bud that plugs into the middle of the device. Just image for a second that there were actually two for stereo. The bone conduction speaker that’s been standard on Glass from the beginning could be used for the low frequencies, while a high-quality set of stereo earbuds could be used for high-frequencies, which could make for a better listening experience than the average music consumer currently gets. Chalk up a potential win for Glass. Isolation caused by earbuds can pose a danger to wearers, as is so often the case today when earbuds and headphones are worn on the street. That could be eliminated in Glass by putting a small mic on the unused real estate of the frame to combine the ambience of the real world with the audio or music you’re listening to. And the same mic could also work for noise canceling on those long plane flights that we all seem to take these days. Want to mute or unmute the music? Simply touch the frame. Chalk another potential win for Glass. Read more on Forbes. New Music Gear Monday: API "The Box"
There was a lot of new gear announced at the recent AES show, but one of the most spot-on in terms of the needs of a modern studio was API's "The Box." The new API unit is the answer for anyone who has a mid-tier home studio that only records a few instruments at a time and really wants to improve the sound of both the recording and mixing chain. The Box unit comes with 4 inputs of API 212 preamps and high-pass filters. Two of the input channels have integral 550A EQs and the other two have standard 500 slots that you can load as desired. There are also two 527 compressors that can be assigned to either the mix buss or the input channels. The unit has a 16 channel mix buss, complete with faders (which most summing boxes don't have), with a stereo and two mono aux sends (also on the inputs). Then there's the full master section, complete with talkback, solo buss, headphone buss, 4 stereo aux inputs, and main and alt speaker outputs. The Box retails for around $18,000, which is a bargain, considering that it would cost way more if you tried to put something similar together from pieces from various manufacturers. It's the perfect center for any serious small studio. You can find a lot more details, including an excellent users manual, on the API website.